A conventional wardrobe or arm-chair can hardly impress anyone today. That is why designers around the globe are working on incredible pieces of furniture that can literally take your breath away. 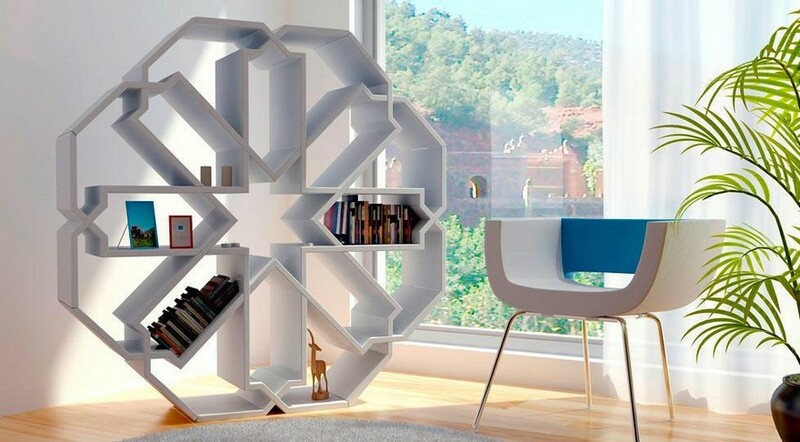 Most unexpected and bold fantasies come true, and a shelving unit turns into a giant snowflake, while a sofa becomes a miniature copy of a retro racing car. 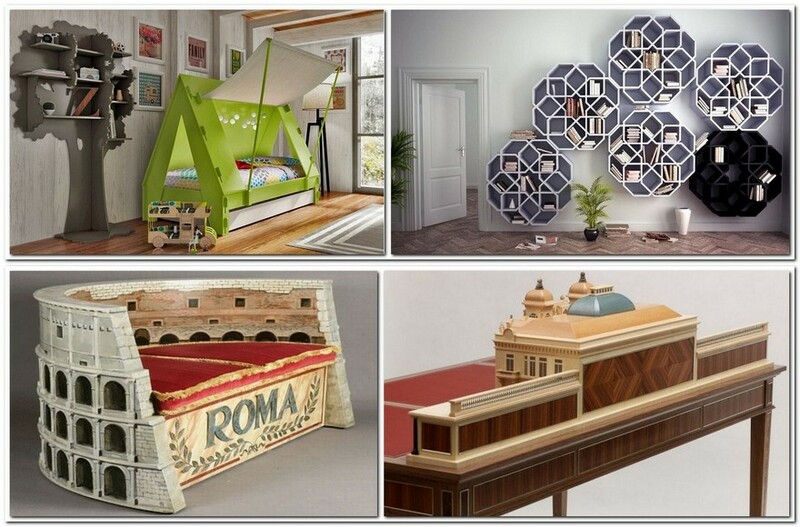 Today we came up with 7 creative items that will have everything you believe about contemporary furniture challenged! 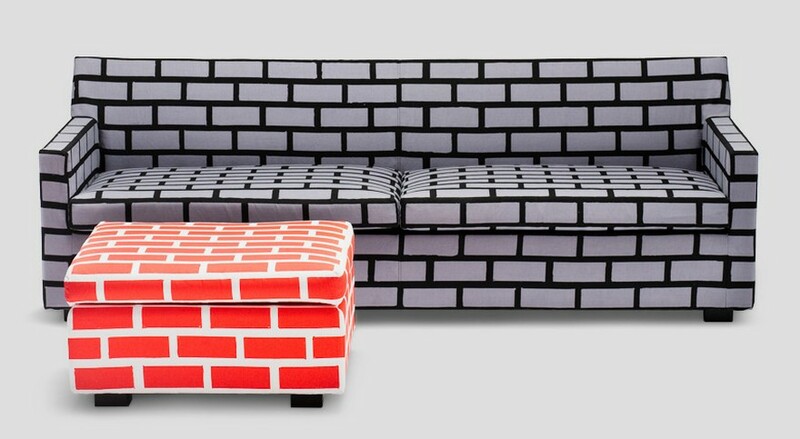 Brick masonry, which was one of the hottest interior design trends of the last few years, inspired British designers to create a fanciful collection of furniture. 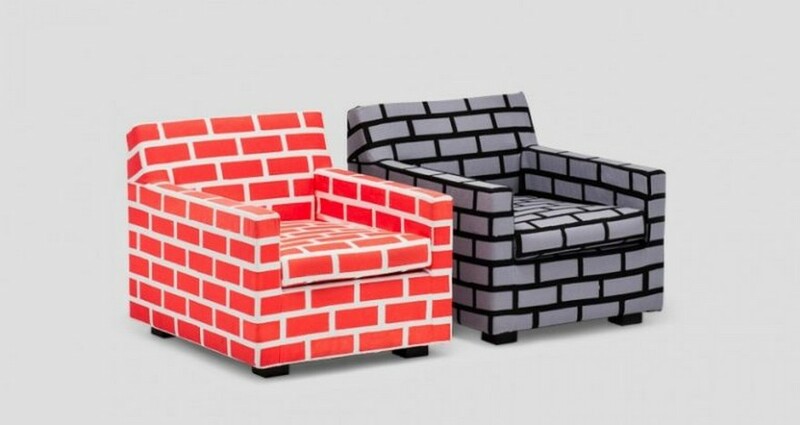 Richard Woods and Sebastian Wrong obviously have a sense of humour about their job. They believe that their arm-chairs, sofas and ottomans will always make you and your guests smile. And humour prolongs people’s lives! 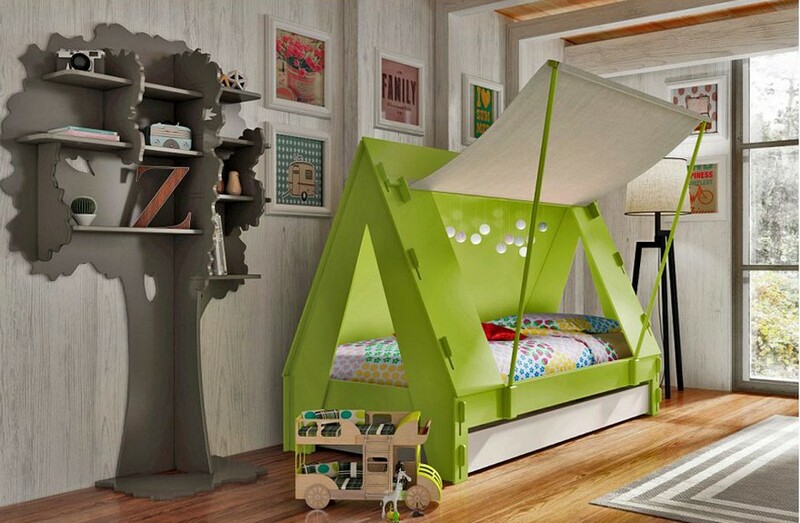 Perhaps, any kid pretends he is an Indian sometimes and dreams of having a teepee of his own. 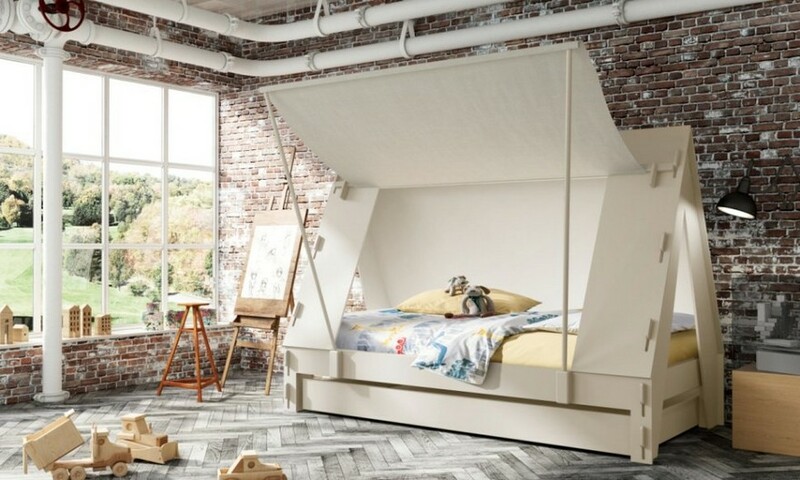 Belgian designers from Mathy by Bols Studio decided to make these dreams come true and created a set of beds resembling funny Indians’ houses. 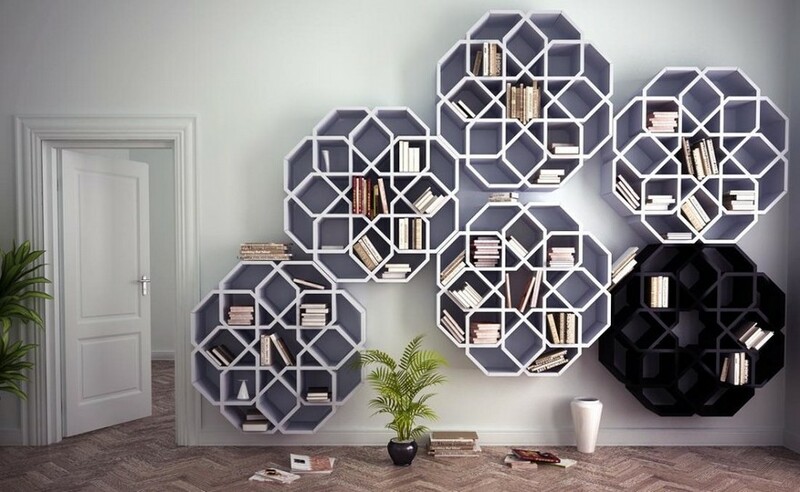 Though this interesting shelving unit seems like a huge snowflake to us, it was actually inspired by a piece of Moroccan mosaic tiles. This laconic piece of furniture was designed by Younes Duret Design Studio. According to them, such a roomy shelf stand may become a good alternative system of storage in small spaces or a true art object in a spacious apartment. 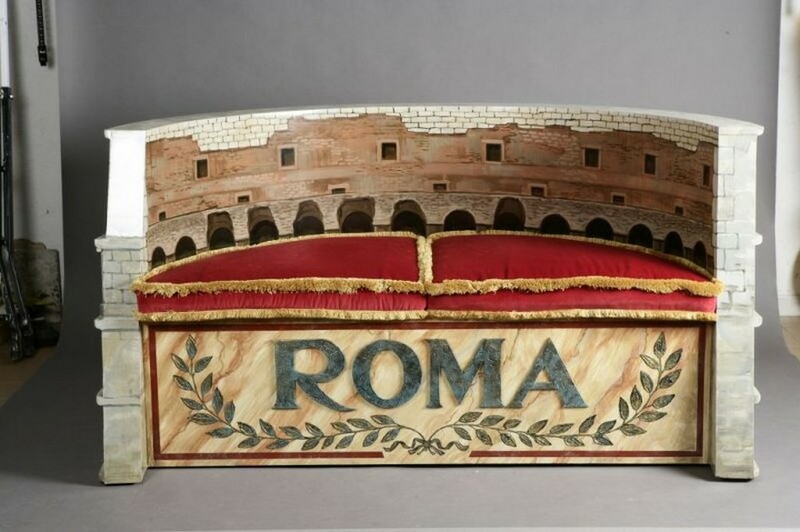 The next piece of furniture was made by designers of Tappezzeria Rocchetti, an Italian furniture mill, especially for connoisseurs of history and arts. 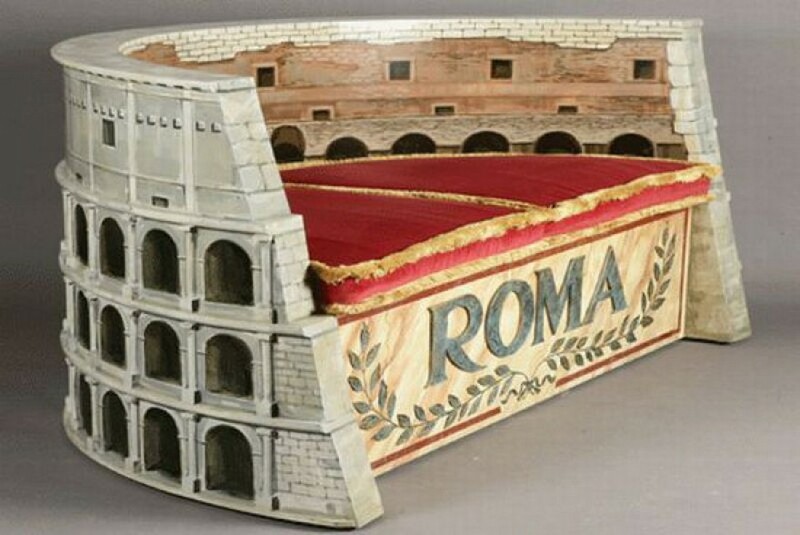 This sofa is actually a full-fledged miniature version of the iconic Colosseum, which continues to captivate visitors from all over the world. The sofa is hand-made from precious woods, genuine stone and velvet upholstery fabric. One of the most stunning architectural monuments of Monaco is the building of the Monte Carlo Casino. This building was designed by a French architect Charles Garnier and opened its doors back in 1863. 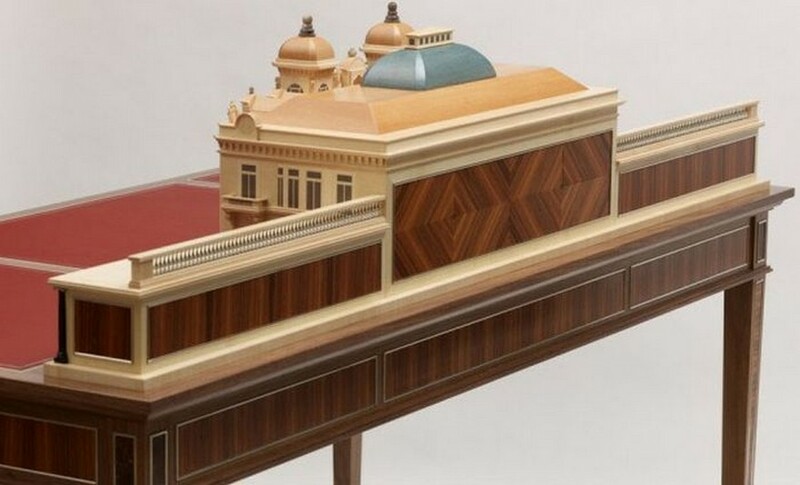 It was this incredible piece of architecture that inspired a designer David Armstrong-Jones to create this gorgeous desk. 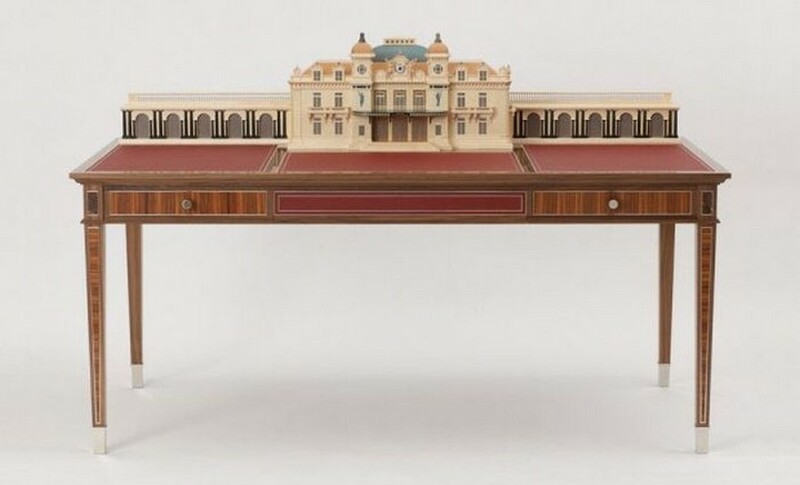 The nephew of Queen Elisabeth gained world fame as a talented and skilful furniture maker. For this masterpiece David used American walnut wood with inserts in plane and Belgian rosewood. And the top is upholstered with crimson leather. LA Design Studio decided to make fans of retro cars happier and made a piece of furniture that would become the centerpiece of an interior belonging to a genuine admirer of Carroll Shelby Cobra 427. This sports car was produced in limited edition in Great Britain in 1961-1967. The Cobra gained many connoisseurs thanks to its attractive design and good technical features. In fact, it’s still highly appreciated among the fans of classical racing cars. 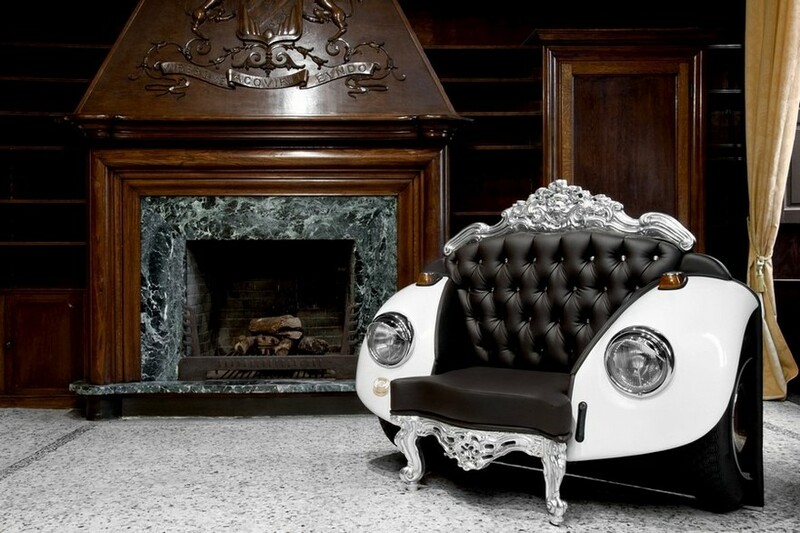 And one more piece of furniture to please fans of retro automobiles is the Beetle arm-chair inspired by the VW Beetle car of 1968. 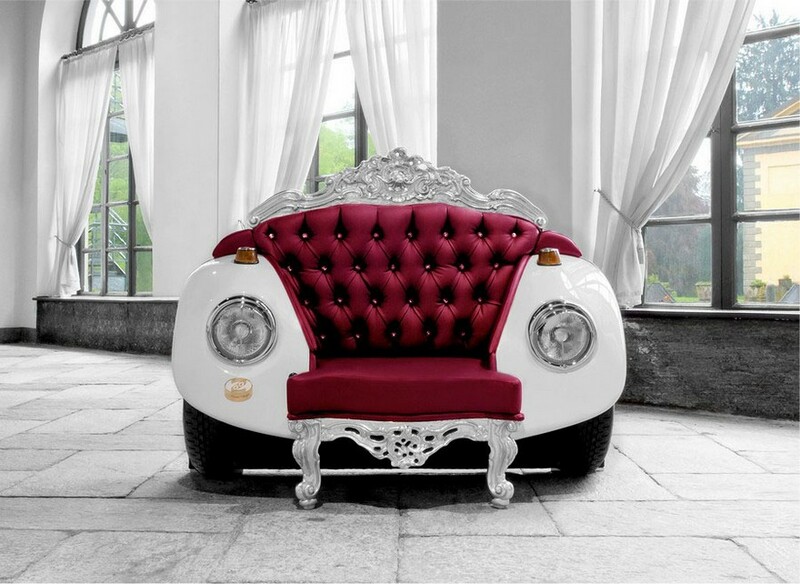 Tinkerers from ZAC Glamour Design decided to mix baroque-style motifs and typical car details in one piece of furniture and got a non-standard and elegant arm-chair that can decorate a classical interior and a space designed in the style of pop art.